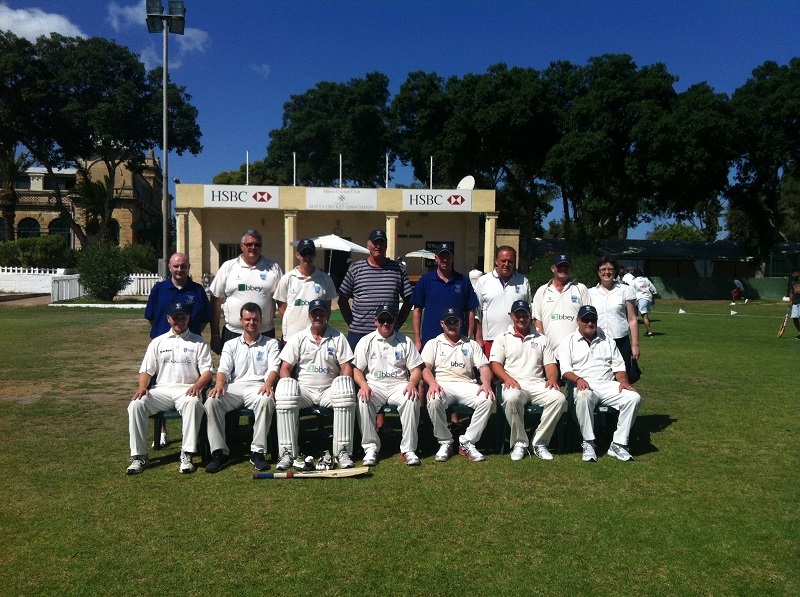 Last weekend saw a long weekend of exciting cricket with Mawdesley CC (Lancashire) and Leo CC (Leicestershire) visiting from the UK. It was a successful time for our local players, supporters and officials as the Marsa representative team remained undefeated. There were also some outstanding performances by our national team players ahead of Malta’s fixtures against Hungary next week. le strokeplay. Their 50 run partnership came up in only 30 balls. Bikram Arora’s 16 run cameo took Marsa to 146 runs off their allotted 20 overs. Mitush Soni was Leo’s best bowler with 2 wickets for 18 runs. Leo’s chase started dramatically with David Marks taking a superb catch off his own bowling to dismiss Sachin Patel, however a brisk partnership of 61 runs between Santosh Patel (43 runs) and Krishnan Patel (35) turned the game in Leo’s favour. The momentum changed once again as Haroon Majeed took a wonderful one-handed catch at the bowlers end after Arora parried a well struck drive from Bhavesh Patel. With only 15 runs required from the final 3 overs, Spiteri took the ball and brought the fielders in to restrict any easy runs. In the blink of an eye four Leo batsmen perished, including Prian Patel who was 13 year old Ethan Xuereb’s first senior wicket. When Aquilina and Spiteri combined for a run out on the final ball of the match, it sealed the tie (146 runs apiece). 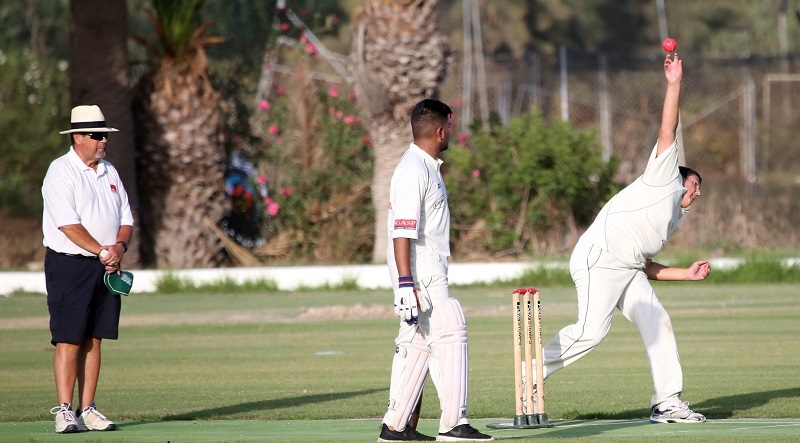 Spiteri and Majeed took the bowling honours with 2 wickets each in what was the most exciting finish at the Marsa this year. It was an ideal way to start the 4 day cricket festival. where they left off as he kept Marsa well above the asking rate. He received good support from J.Ghoseroy (24) before he was finally dismissed for a swash-buckling 93 runs off only 57 balls, including 3 towering sixes. 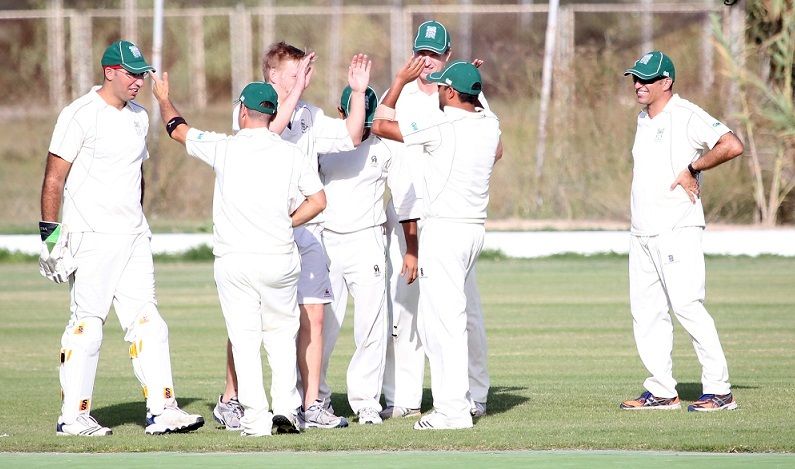 Sacco (44) was joined by the level headed John Grima (35) and their undefeated partnership of 68 runs guided the Marsa side home to an inspiring victory. Sunday’s 30 over encounter between the same sides started with Marsa batting first. Their innings was dominated by two batsmen, Haroon Majeed and Derek Ali. Majeed thrilled the local support with 10 boundaries until he suffered a similar fate to Khanna the previous day, run out short of his century, for 90 runs. Ali signaled his intentions from the first ball he faced with a stylish 46 runs. He was in fine fettle after recovering from recent injury. 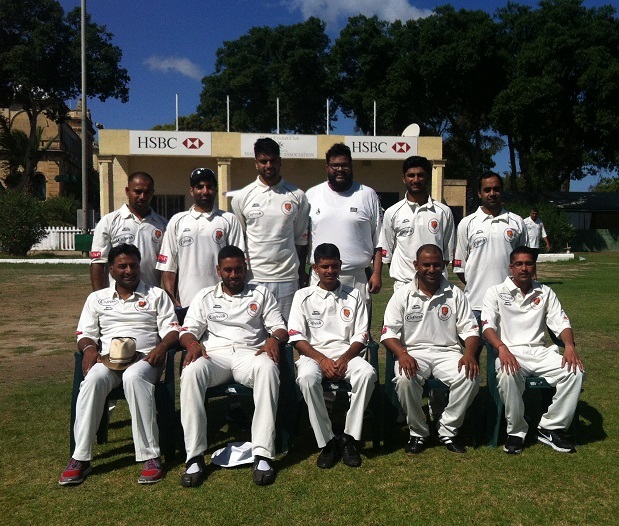 Marsa were quietly satisfied with their final score of 178. A.Thompson (3 for 45) and K.Gibbons (2 for 35) were the major wicket-takers for the visitors. In reply, Mawdesley looked comfortable at 95 for 1 inside the first 15 overs with Watkinson (38) and Lyon (47) dominating the Marsa bowling. The introduction of Feroz Ahmed, Clyde Rossouw and 14 year old leg spinner Shurid Roy swayed the match in Marsa’s favour. The batting collapse of 9 wickets for 64 runs sealed Mawdesley’s fate as they were dismissed just 19 runs short of victory. Roy, Ahmed and Majeed all captured 2 wickets, whilst Rossouw took the bowling honours with 3 for 27. On Monday, Mawdesley defeated Leo CC in a one-sided match, largely thanks to another steady performance from their top order (Ward (43), Whiteley (42) and Lyon (57). Their imposing tally of 213 was a big ask for Leo CC and only Amit Chauhan (25) and Santosh Patel (17) reached double figures. Lyon was the major wicket-taker for Mawdesley with 3 whilst local boy Ethan Xuereb, making a guest appearance, added 2 further wickets to his first on Friday. 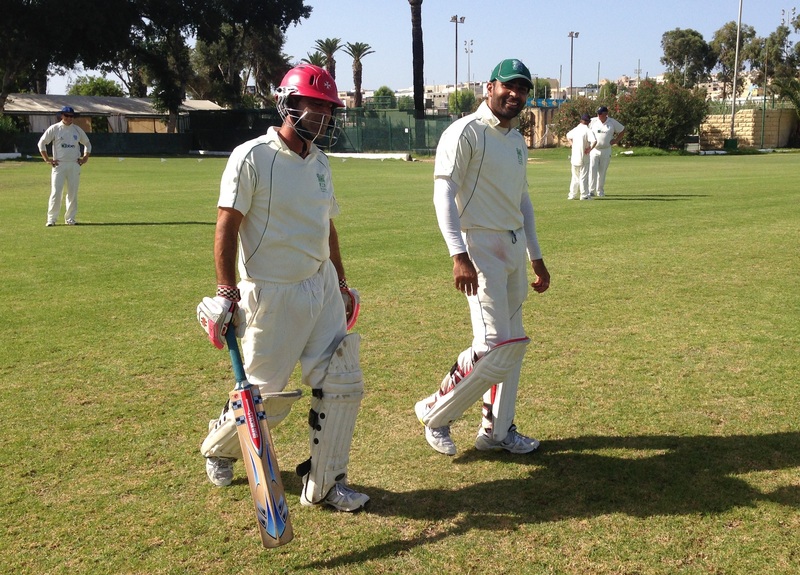 Fri 18 Sept, T20: Marsa CC 146 for 8 tied with Leo CC 146 for 9. Sat 19 Sept, 40 overs: Marsa CC 251 for 6 defeated Mawdesley CC 250 for 4. Sun 20 Sep, 30 overs: Marsa CC 178 for 8 defeated Mawdesley CC 159 all out. Mon 21 Sep, 30 overs: Mawdesley CC 213 for 3 defeated Leo CC 99 all out. This weekend sees final preparations for the Malta team before their international series versus Hungary. The official schedule will be announced this week for the dates 1-4 October. Admission to the Marsa Sports Club will be free and gates will be open to the general public.